A person who suffers from allergies on a regular basis might have an oversensitive immune system. This will lead to your immune system overreacting to an allergen (dust, food, pollen) and cause the symptoms typically associated with allergies: coughing, itchy eyes, runny nose and hives. Allergy season has hit Arizona especially hard this year due to spring tree pollen season starting earlier than normal. 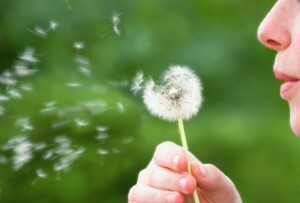 Allergy season will last as long as the particular allergen that you are allergic to is still in the air. If the problem persists visit one of our many FastMed locations within your area and an expert medical provider will examine you. An allergy test will take place to see if you’re allergic to a certain food or medication you are taking. Consult with our FastMed team to find out what medicine is best for you, this could include nasal steroids or antihistamines (reduce sneezing). Take a shower before bedtime to remove pollen and other allergens from your hair and skin.